When you are ready to begin acquiring bullion, these are some industry best practices to expect. When is the price set? How do you pay? How is gold or silver bullion delivered? How does it work if the bullion is shipping to your door, a segregated depository, or for to a bullion IRA custodian? Know the basics to become a more confident bullion owner. As discussed in the “How to Buy Bullion Intelligently?” section, we again strongly suggest some consistent pre-purchase strategies you should always use prior to any online purchases from online bullion dealers. Prior to each and every time before you buy from a bullion dealer is to check their latest hard to rig online reviews on third party maintained websites like GoldDealerReviews.com.Here we will discuss in general the online bullion buying process. Honest high volume online bullion dealers typically allow customers to buy bullion 24 hours a day, 7 days a week. Note that if the company you are potentially going to buy bullion from doesn’t allow you to simply buy online at any time, chances are high some salesman or saleswoman will try to push you into overpriced collector coins at some point (Bait and Switch or perhaps worse). About 69% of the hours during a regular 7 day week, precious metal bullion products have fluctuating spot prices which underline their overall values. 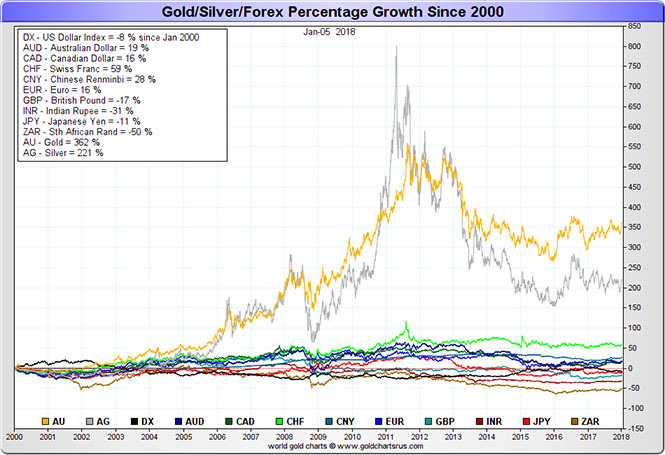 Precious metal spot price data feeds are, for the majority of time, actively changing and updating every few minutes. Depending on the precious metal spot price source and whether it is a mix of ask or bid spot prices will explain why some dealer spot prices are either a little lower or higher (often only varying by a few pennies in silver and a basis point or two in either gold, platinum, and palladium). Precious metal spot prices are traded (barring holidays) starting in eastern futures markets on Sunday nights at 6:00 PM eastern standard time. There are also 60 minute intervals when precious metal spot price markets are closed Monday through Thursday from 5:00 PM to 6:00 PM eastern time. Precious metal spot prices remain static when futures markets are closed. The prices for physical precious metal products are constantly fluctuating during all other regular futures market trading hours though. When you agree to buy bullion product(s) online, virtually all online bullion websites will ask you for some form of collateral. Online bullion buying typically requires an active credit or debit card to lock in price(s) and product(s) at the moment of your agreed upon purchase. If the spot price falls the next day after you have committed to buy, congratulations! That has happened to virtually every experienced bullion buyer the world over. You know why most long term bullion buyers don’t care if the spot price falls in the short term? 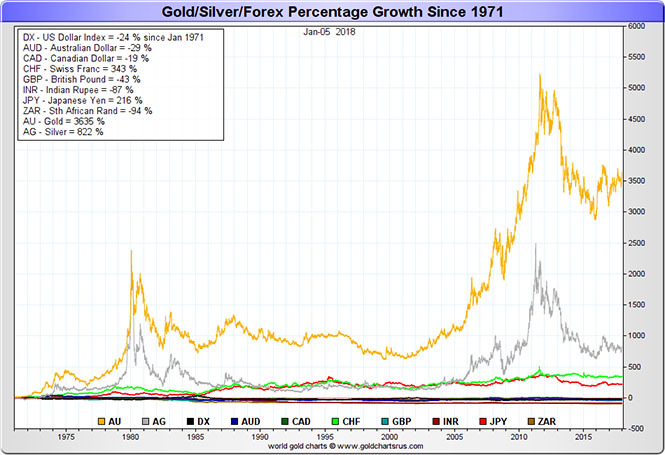 Make sure you understand the ‘WHYs’ you are buying physical bullion before you ever do so. Acquire our 100% free ‘21st Century Gold Rush’ guide for trillions of reasons as to why. If and when you do commit to buy bullion online, if you wake up the next day and find that the spot price has fallen a few percentage points, do not fret. Fundamental factors are likely unchanged. Resist calling up the bullion dealer you commited to buy from the day before and ask for a now lower price. We’d be out of business fast if we tried that. The truth of the situation is that we as a high volume online bullion dealer only make a slight profit (often just mere basis points) whichever way the spot price moves in the short term. Competent high volume bullion dealers hold and price hedge their bullion inventories (doing so costs the bullion dealing company every hour of every day regardless which way prices go). Experienced bullion buyers understand the long term reasons why they are buying bullion. Short term price swings do not affect their fundamental understandings nor motivations for buying bullion. Investors often prefer having bonafide milenia proven money over fiat currency. Perhaps here is longer term view as to why. We try to keep a longer term perspective. 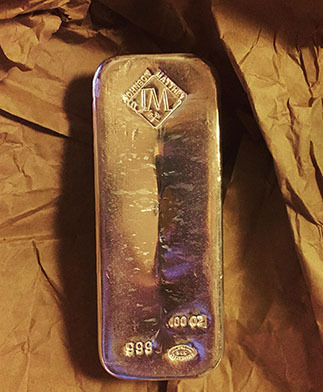 Bullion buying is not for short term speculation. Bullion ownership over the long term, is for wealth preservation first and foremost. But similar to the years 1975-1976-1977, and we would argue today’s current ‘bear trap’ timeframe, acquiring bullion at the right times can also help investors hold undervalued assets before price manias occur (e.g. 1980, 20??s). 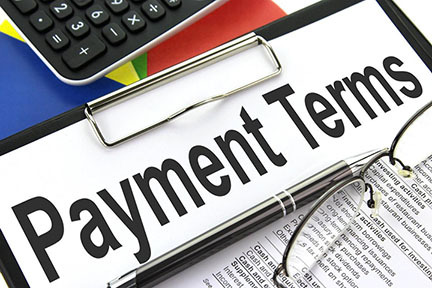 When deciding upon which payment method to use, factor in costs associated and speed of full irrevocable payment clearance. Generally, the most cost effective payment methods for bullion buying are typically two options (mailed bank checks and ACH). Virtually all online bullion dealers accept mailed personal and business bank checks for payment. Although due to security and fraud prevention, the industry standard has a hold for personal or business check payments, which fluctuates between 5 to 10 business days for fully good funds to clear (dealer wait on irrevocable payment clearances before shipment to deter frauds and losses). Some of the largest online bullion dealers are also beginning to offer higher automated ACH payment options as well. Perhaps the biggest advantage of using ACH (automated clearing house) payments for bullion purchases is convenience. With new ACH payment options, bullion buying customers no longer have to worry if a mailed check will reach their intended recipient within a limited timeframe; nor whether or not a check might get lost in the mail. Bullion buyers paying with ACH also benefit from not having to pay any postage fees incurred by mailing their check, as well as shorter order processing times and ultimately delivery when compared to mailed checks. The fastest but most costly method of payment is via credit or debit cards. Nearly all competent high volume online bullion dealers offer volume tiered pricing meaning the more bullion you buy in a transaction the lower price per ounce premium you will likely end up paying. Online bullion dealers also typically post two variants for same quantity pricing (#1) with a higher price per ounce for credit / debit card payments and (#2) a lower price per ounce if customers agree to pay using other payment methods (e.g. bank wire transfer, check, ACH, etc.). The difference in payment method pricing is due to average merchant account fees in the bullion industry of around 3.5% on credit / debit card transactions (the bullion industry is often subject to fraud attempts). Most high volume online bullion dealers operate on razor thin profit margins typically at a small fraction of those aforementioned merchant account fees. In other words, if online bullion dealers didn’t have two price options based on payment method agreements, online bullion dealers would incur losses on credit and debit card sales and thus most likely not even accept credit / debit card payment options at all. Finally for larger bullion purchases ($10k USD or more), many larger bullion buying customers choose to pay by bank wire transfer. Domestic banks typically charge $25 USD per outgoing bank wire transfer and the time for full payment clearance is typically less than 24 hours. In terms of speed and price, bank wire transfers are likely the best option for larger volume bullion orders. Take note that bank wire transfers typically require a trip in person to your local bank to execute. Sometimes, well meaning bank tellers will try and save bank customers funds by trying to switch them in ACH payments as opposed to bank wire transfers. If you agreed to pay a bullion dealer by bank wire transfer you should simply deny the offer and execute the agreed upon bank wire transfer payment method execution. The safe delivery of physical precious metal bullion products by domestic mail are much more common than you likely may think. 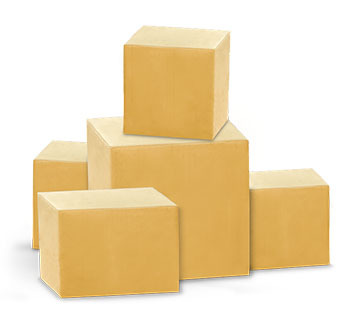 Bullion shipments by high volume online bullion dealers are fully insured, with tracking information documentation, packed tightly in non-descript parcels, with large orders requiring adult signature for delivery. In calm markets, upon fully cleared payment, the bullion products you have purchased should be shipped within 1-2 business days with tracking information emailed to your account’s email address on file. The bullion products become your responsibility once adult signature and delivery have been made. 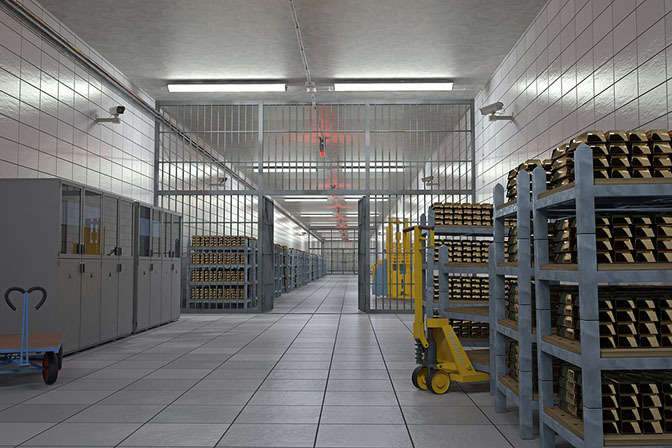 If you decide to have us ship your bullion to a direct professional depository account on your behalf, the same shipping process is utilized as if where going to your home (the only exception being larger million dollar or larger bullion purchases which may utilize armored truck for delivery to a depository as it is safer with that volume to do so). For smaller orders, you should still receive tracking information for your parcel(s) in route to their respective non-bank storage account of your choice. Upon delivery of the physical precious metals, it is customary for the professional bullion depository to update your account holdings accrediting and documenting your updated bullion holdings. 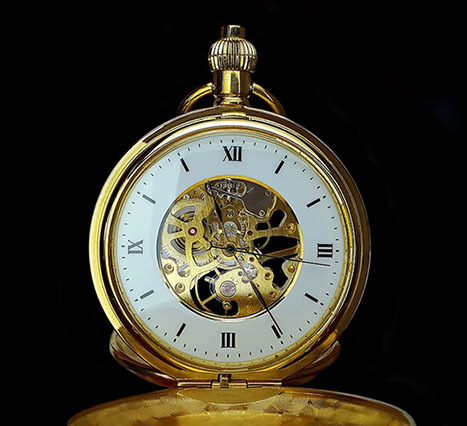 If you buy bullion for an IRA account, speed of delivery will mostly be contingent on your chosen IRA custodians payment policy method (check or bank wire transfer typically). Tracking information on all mailed bullion parcels should still be available to you by email. 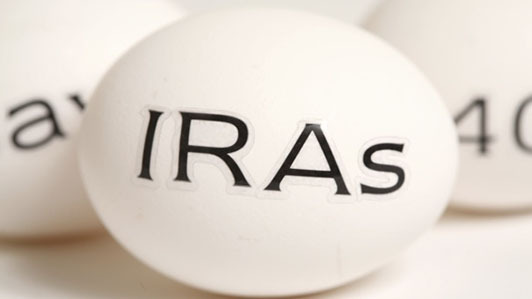 Upon delivery of the physical precious metals to your IRA custodian depository, it is customary for the IRA custodian to then update your account holdings accrediting and documenting your updated bullion holdings within your IRA (whether ROTH or Traditional).